Pure Creative has launched the fourth issue of Frontier, the large print publication for Eisenberg de Saude, one of South Africa’s premier immigration law firms. 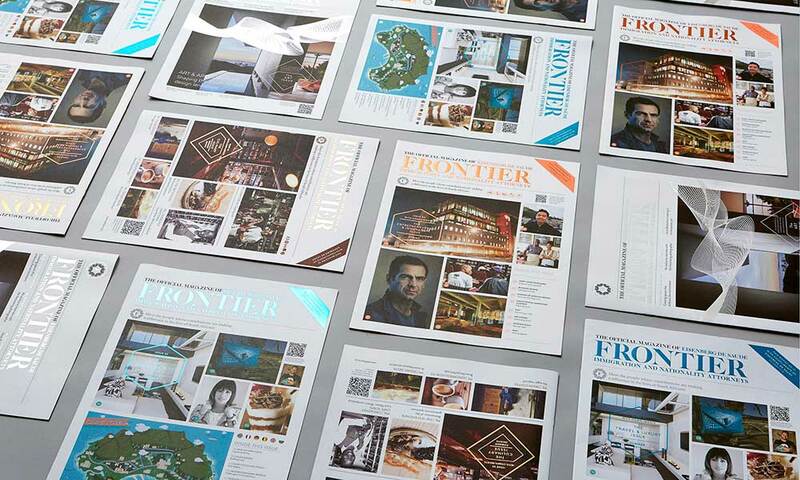 Each issue, Frontier features some of the firm’s most accomplished clients. For issue 4, the magazine examined some of South Africa’s most dynamic immigrant entrepreneurs and innovators, from influential cinematographers to those fighting for entrepreneurial social upliftment. 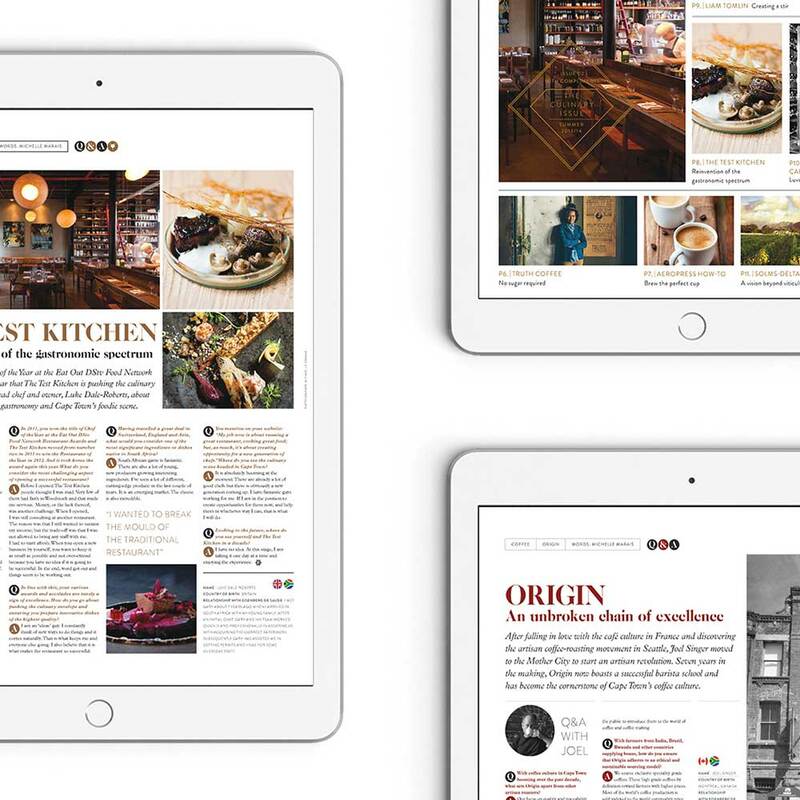 For example, the publication features an exclusive profile of the American director of Johannesburg’s Museum of Art and Design, Aaron Kohn, and a feature about the Maboning Precinct where the museum is located. It profiles KWV’s Australian winemaker, the British founder of Art Insure, the influential South African art company, interviews the founder of Oglivy’s Digital Marketing Academy, and examines the amazing work done by Australian Pip Wheaton, who is helping young people fulfil their dreams: Make your mark. As always, the publication features striking design, a distinctive use of inks; in this particular issue, Pure utilises fluorescent orange. It’s an amazing showcase of all the rich talent South Africa attracts, and a fascinating glimpse into our varied industries.